The purpose of THE ACCOUNTINATOR is to teach you to do your own accounting – quick, cheap, and easy. But what is accounting? Why do you need to know it? How should you learn it? I’ll start with a simple story. Suppose Mom gives Jack three dollars to go to the store and buy some bread. Jack rides his bike to the store, buys some bread, and gives it to Mom, with some change. Jack took responsibility for spending the three dollars on bread. He had the authority to buy bread for Mom. And now (here’s the accounting) he shows her that the bread cost $2.75, and here is $0.25 change. The accounting here is that Jack showed Mom that he did his job properly. Now replace Mom with a corporation’s shareholders. Take Jack out of the story, and replace him with corporate managers. No more fetching a loaf of bread, either. Instead, run a multi-million dollar corporation. Managers run the corporation on behalf of the shareholders. Here is accounting at its most sophisticated. Just like Jack did for Mom, the corporate managers must report their performance to shareholders, that they did their job properly. Let’s plug-in a different scenario. Replace Jack with Bernard Madoff (gulp!). Replace Mom with Madoff’s sucker investors. 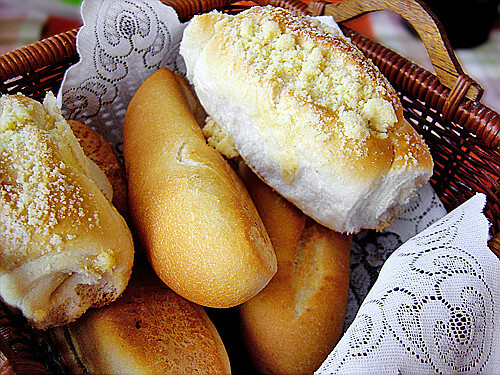 Instead of buying bread, the business is investing. 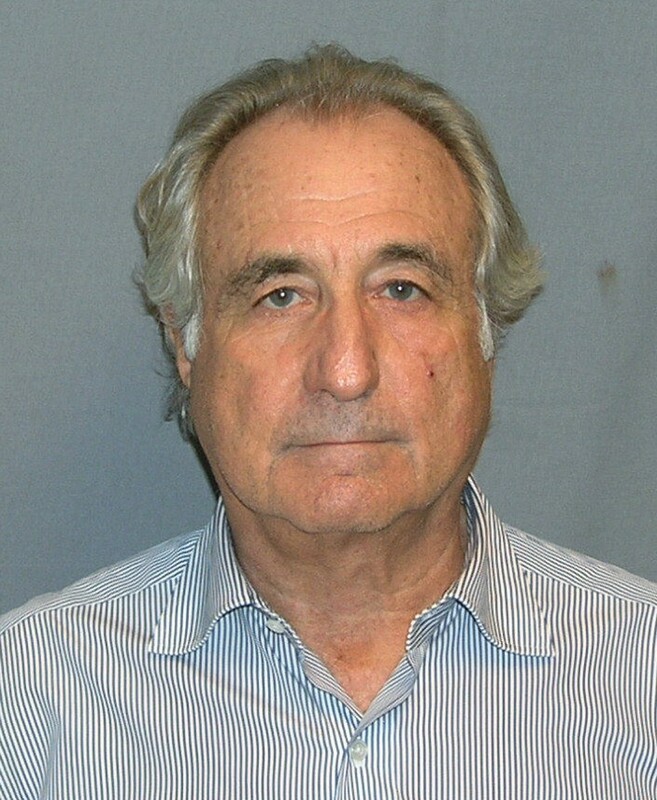 Bernard Madoff owes his investors an accounting that he did his job properly. He faked that, and therefore we have a big mess. Accounting is the language of business. This is how we talk about business transactions, profits, assets, and liabilities. This is how we measure financial liquidity and productivity. 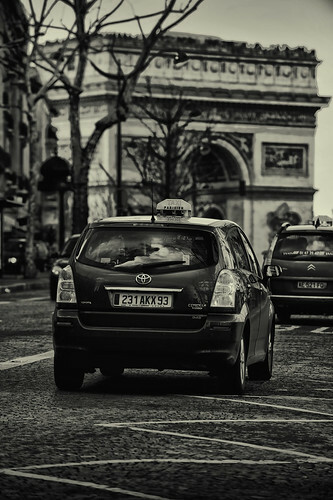 If you don’t know accounting, you don’t know the language of business, and you’re as helpless as an American tourist who can’t speak French in a taxicab in Paris. You don’t know the language, you probably won’t get where you want to go, and if you do, it will probably cost you a whole lot more, and take you a whole lot longer, than it should. Business cannot function without accounting. People can’t loan money or invest in other peoples’ businesses. Without reliable accounting, every business is run by Bernard Madoff. The only safe place for your money is in your mattress. Why should you know accounting? SEC paperwork (caused by inadequate accounting) delayed the process by five months, while the company filed eight different amendments to its SEC Registration Statement. By the time it was ready to go public, investors were frustrated and concerned about the company’s prospects. More importantly, a sound accounting system is designed to help you understand the intricacies of your business. Who owes you money? Who do you owe money to? When do you earn the most revenues? Which products are most profitable? Being new to the blogosphere, I constantly read about Search-Engine-Optimization. I am totally clueless. But I can’t properly market and monetize this website without first learning the details of SEO. Likewise, you can’t properly run your business and maximize your profits without a working knowledge of accounting. It is the language of business. If you don’t know the language, you can’t conduct business. How should you learn accounting? Follow THE ACCOUNTINATOR. Every day, I give you an important fact or two to learn. It could be about taxes or bookkeeping, or productivity, or even personal finance. My goal here is not to turn you into a CPA. It is to help you understand accounting well enough to run your business better and to pay less taxes. No website can substitute for a professional accountant. Regrettably, there are some accounting situations that I can’t explain in 300-words-or-less. If you’re getting auditing by the IRS, you probably need a professional accountant or tax lawyer. If you need audited financial statements to get a loan, then you will need to hire a Certified Public Accountant. There are many accounting situations, like estate planning, where a fool would be his own accountant. You can save a lot of money by hiring a well-qualified person. And who am I? I am an overly enthusiastic accounting professor. I grew up on Long Island, New York. I have an accounting degree from Hofstra University, in Hempstead, NY. After graduating Hofstra, I joined Touche Ross & Co., which is now part of Deloitte, and got promoted to Senior Auditor in their New York Office. Here also I earned my Certified Public Accountant designation. Next, I earned my PhD in Accounting at The University of Texas at Austin (Go Horns! ), where I wrote my doctoral dissertation about earnings management in the oil and gas industry. After that, I returned to Hofstra University as an Assistant Professor of Accounting. Today I am an Associate Professor and Department Chair of Accounting at Seton Hall University, in South Orange, New Jersey. I’ve published articles in the CPA Journal, Journal of Accountancy, Research in Accounting Regulation, and the Accounting Historians’ Journal. I co-authored the book Interpreting and Analyzing Financial Statements (5 ed) with my friend and colleague Prof. Karen Schoenebeck. Welcome to my website. If you have any comments or suggestions please e-mail me at mark@accountinator.com. You can also follow me at twitter @accountinator. 1) Which is the best state to form an LLC or does it matter? 2) If two or more individuals are forming a business, should each have their own LLC or is one for all appropriate? Also, if one of the individuals has a separate business, how or does that affect the group LLC? Thanks for the message. This is outside my expertise. You should consult with an attorney. My daughter told me about the Accountinator template and we both love it. She calls it “idiot proof” thanks to the Oops/OK feature. Here’s my question – how can I add more columns to each section without disabling that Oops/OK feature? Thanks! It’s a little complicated to add columns. Instead, I would retitle existing columns that you don’t plan to use. Hi if i give an existing column a new title will that title transfer of to the report page or do i have to change that too? No, the title will not transfer to the report page. You need to change it yourself. Please solve my question regarding accounting journal. My question:I am an accountant.We have received some equipment from shareholder as gift.How can record in the book of accounts. In this connection your comment will be highly appreciated. Credit “donated asset” or “donation from shareholder,” which is a revenue account. My daughter just started selling Marykay and I am looking for an simple way to show her how to do the accounting for her business. Your spreadsheet seems very easy to use but I do not know how to show sales tax as I understand that is not an expense but a liability. Can you help me with that? Which excel program (year) did you make the template on? I using Office 350 and its not working. I’ve never heard of Office 350. It should work on any modern version of Microsoft Excel. If you want to work in Google Docs, copy the spreadsheet itself to your own account. Hi Mark – I am using a modified version of your spreadsheet. I have added an Inventory column, as well as a separate column for tracking Sales Tax separately from Sales (so I am not including the tax in my Sales total). Do you see a problem with these additions? When I buy inventory ($1000), I have been subtracting $1000 from Cash and adding $1000 to Inventory. When I sell inventory ($1500), I have been adding $1500 to cash, adding $1500 to Sales/Sales Tax, subtracting $1000 from Inventory, adding $1000 to COGS. Does this sound right? But one thing I am not understanding is what if a customer pays for a custom order in advance? When they pay me, do I add $1500 to cash, and add $1500 to Sales/Tax. Then when I later buy the item, do I subtract $1500 from cash, and add $1500 to COGS? Thanks for any clarification you can provide on this! Yes, that’s how I would do it. No one said you have to record the sale after the cost of goods sold. However – you do need to record both in the same period. Assuming your year-end is December 31, you can sell an item on December 15 and then buy it on December 22. However, if you sell it on December 18, you can’t record the purchase on January 15 of the next year. Hi Mark…this spreadsheet looks like a real gem! And having read all of the feedback from happy users, I find myself thinking I’d like to try it out. However, I’m uncertain – can it be used for an offline small sewing business? It should work fine for you. If you want to be offline, use the Excel Spreadsheet, not Google sheet. Hope all is well, first of all thank you so much.Mark, I want to know something about Accounts Department about a logistic co. I’m going to set up a new Logistic Business with a partner, and I want to handle Accounting Department myself. So, give some tips about it. Thank you so much for your helpful website and plethora of resources. I am a new home-based business owner and am trying out your Excel sheet for income and expenses. Right now I am setting up my new business and putting my categories in the sheet you set up. I am not very adept at setting up formulas. My problem is that my expense column goes out further (to AX) than yours, and I want to change the formula to include cells all the way to AX. Can you help me with this? Hey Ellen. The easiest way to do this is to insert a column into the middle of the spreadsheet. Right click on the lettered cell at the top of the column and select “insert column.” This will however throw off the income statement calculation. If you are a sole proprietorship in the U.S. you may wish to stick to the expense columns that I set up. These expense columns exactly match the expense categories on your tax return, so they force you to stay consistent with your tax filing. If you are not a sole proprietorship, then it might be easier to just rename one of the columns to meet your needs. I am creating my own cashbook within Excel, as I have used it for 20 years. I prefer single-entry bookkeeping, and have set out a 24-column journal (with a column for each type of expense). My question is, how do I record an expense refund? Do I record the refunded amount in the CR column, or in the column for that relevant expense? I have been keeping my accounts for a long time in Apple’s Numbers, but want to move to Google docs. Your spreadsheet looks very interesting, and so far by way the best accounts template for sheets. Living in the UK we have rather different categories for our tax reporting…. If I want to change the categories on you template, if I change them in the account tab, do I also have to change them in the reports tab or will it automatically change? Sorry I am a bit new to sheets. Also do you have any tips on removing a few, I want simpler account categories. This is Nalin Bhatt from Abc Travels . We are looking for an accounting software for a Travel Agency . There are two types of payments for the airline tickets . one is check payment and second is thru credit card . Please let us know . If we can also have a phone number that we can call and discuss , it would be great .